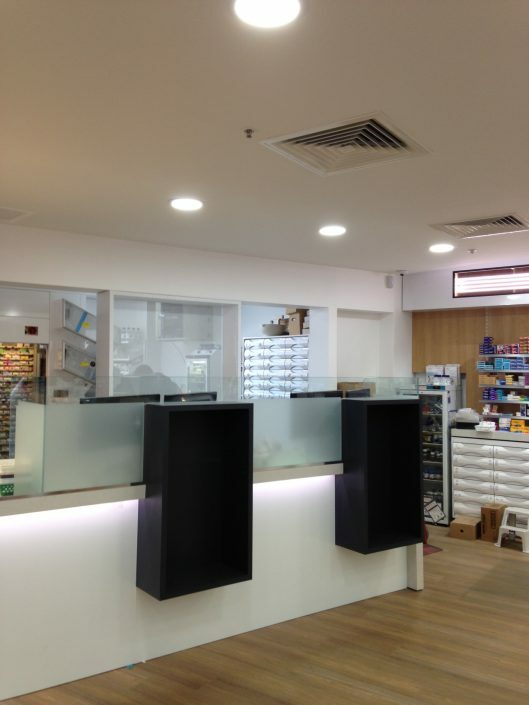 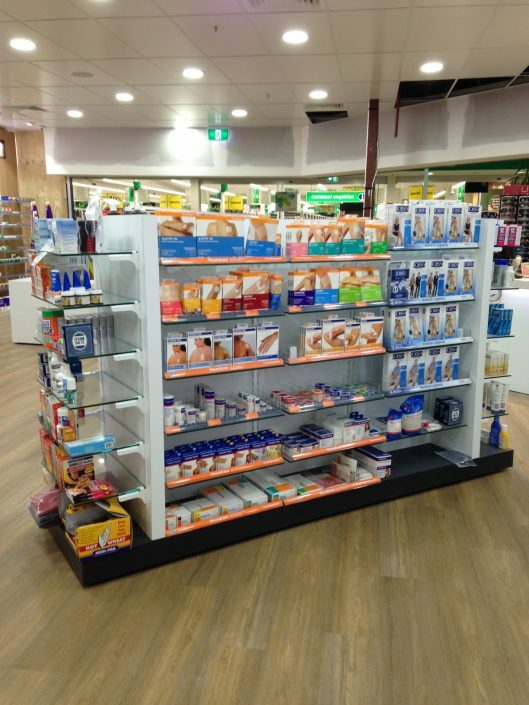 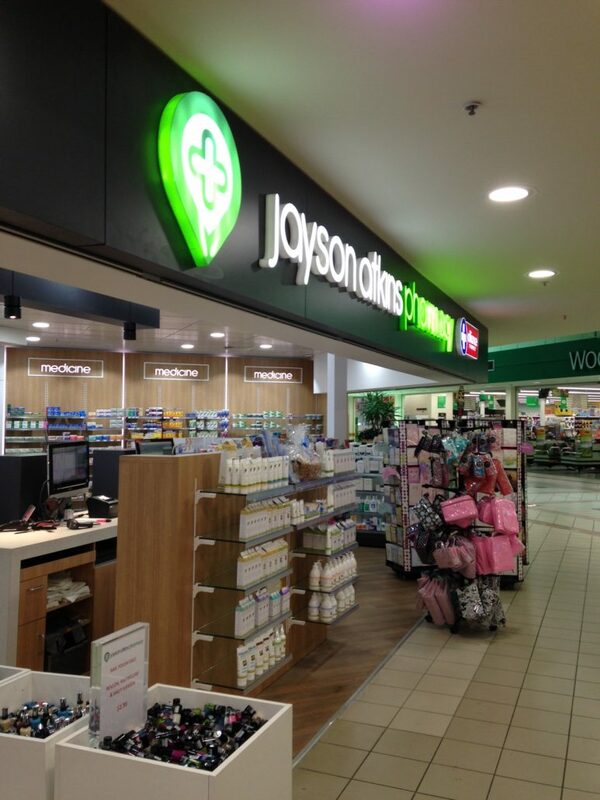 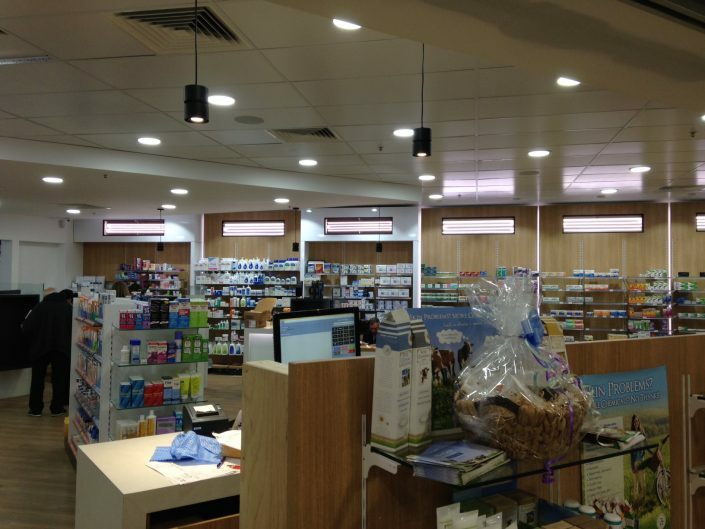 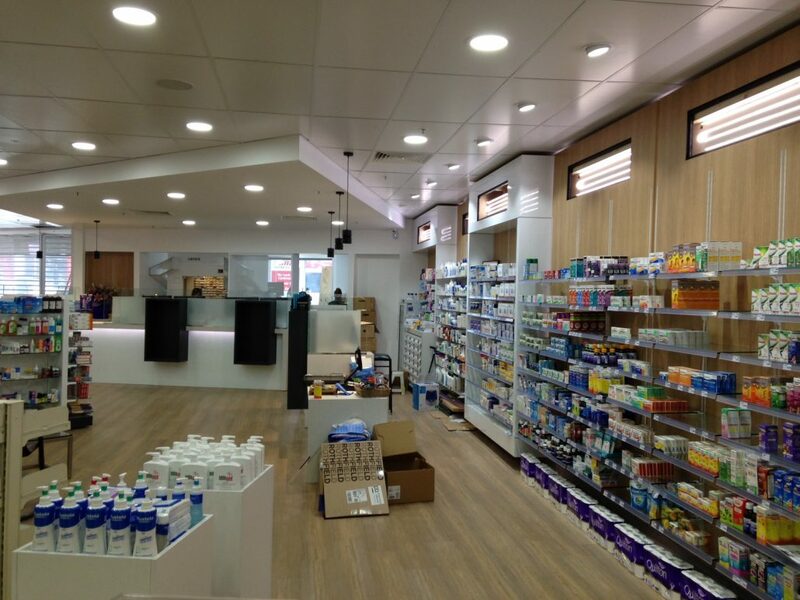 A full pharmacy refurbishment of approx. 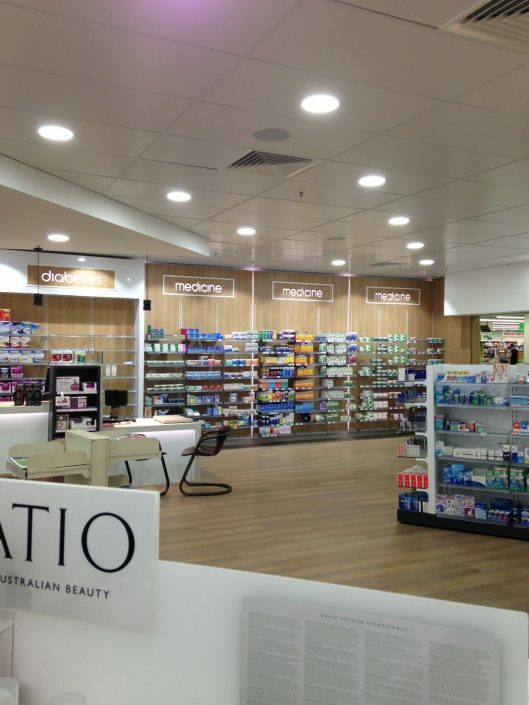 350 sqm completed in 2 stages whilst the store remained open at all times fully operational inside a major shopping centre. 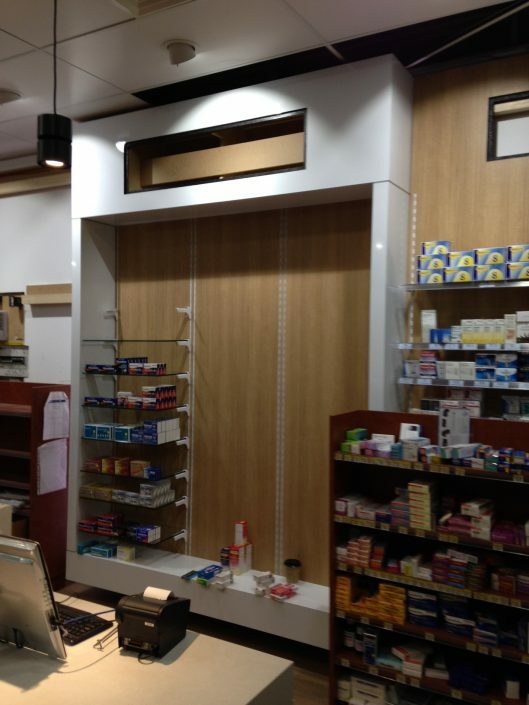 Stage 1 involved setting up a temporary dispensary and point of sale counters to enable demolition works of the existing. 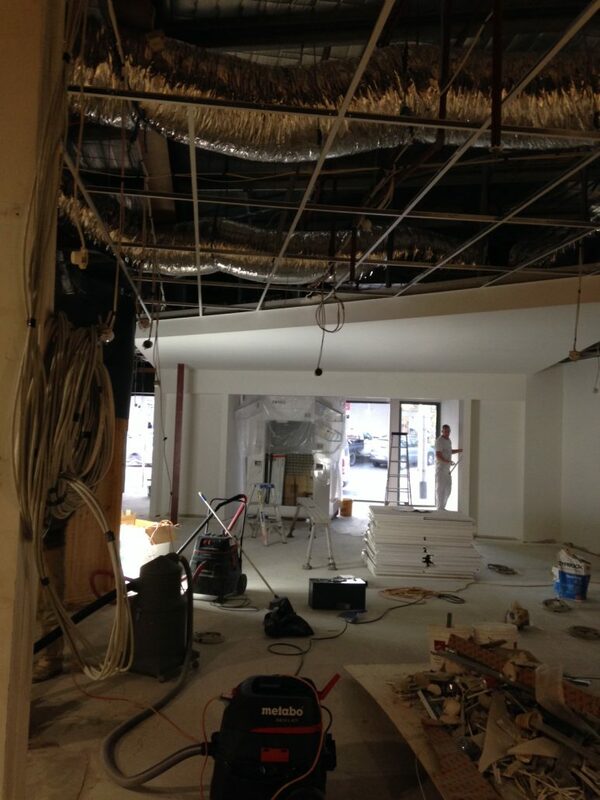 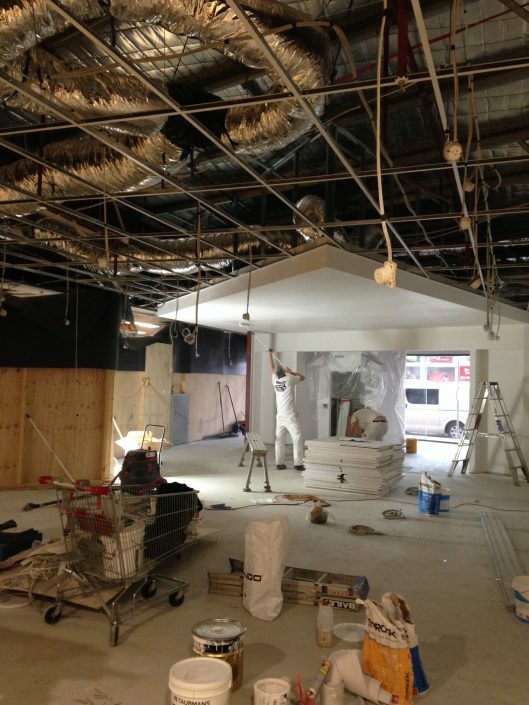 Once demolition was complete this stage also saw the installation of a Consis medical dispensing unit one of the first in Vic. 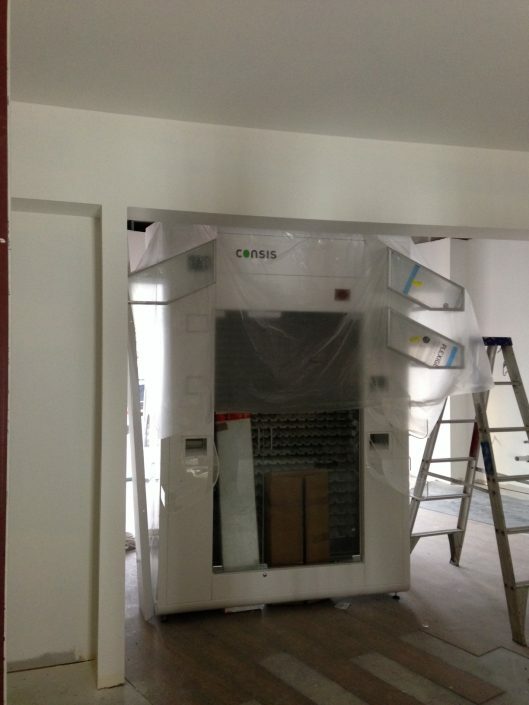 This unit automatically dispenses drugs, labelled ready for dispatch. 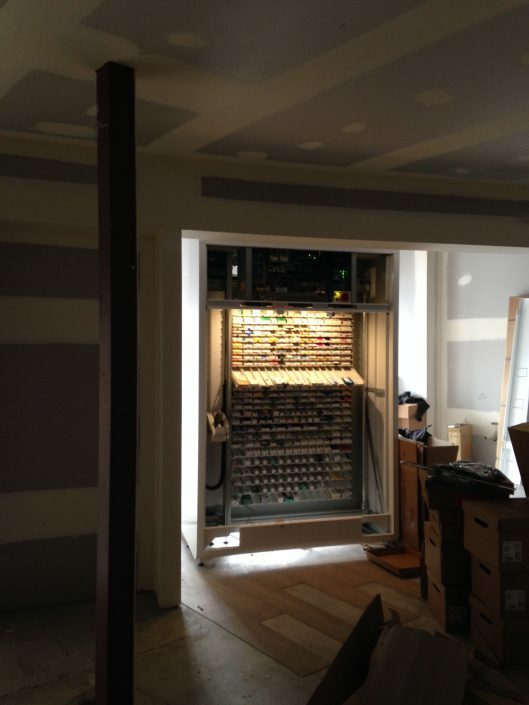 Gone are the days of shelves and shelves of drugs stacked to the ceiling. 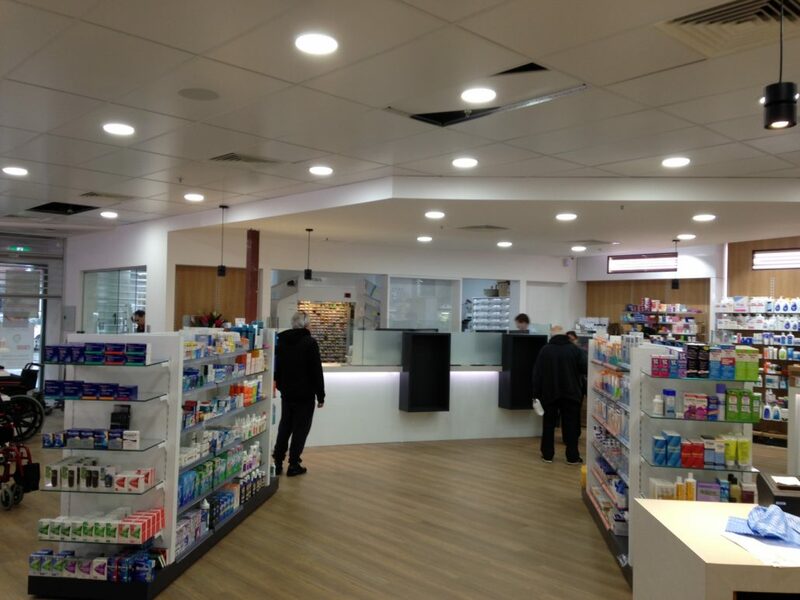 This stage was completed with the installation of the new consulting suite, office and point of sale counters. 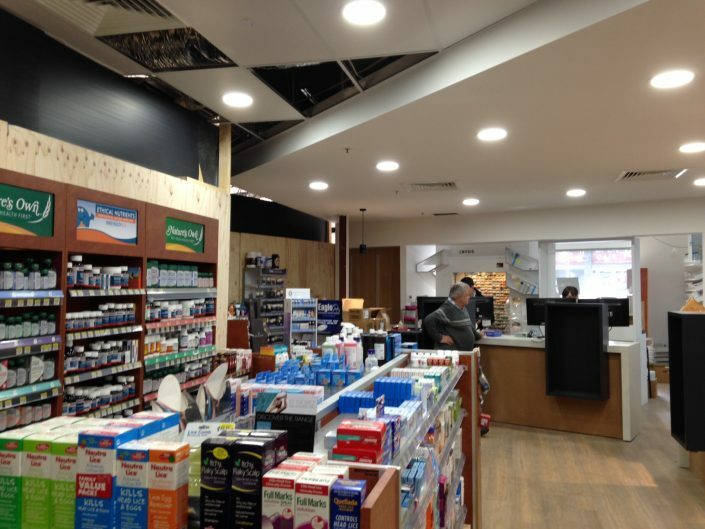 These works were completed in 4 weeks enabling the shop to decamp across from their temp setup shop to the “other side of the wall” into the new area. 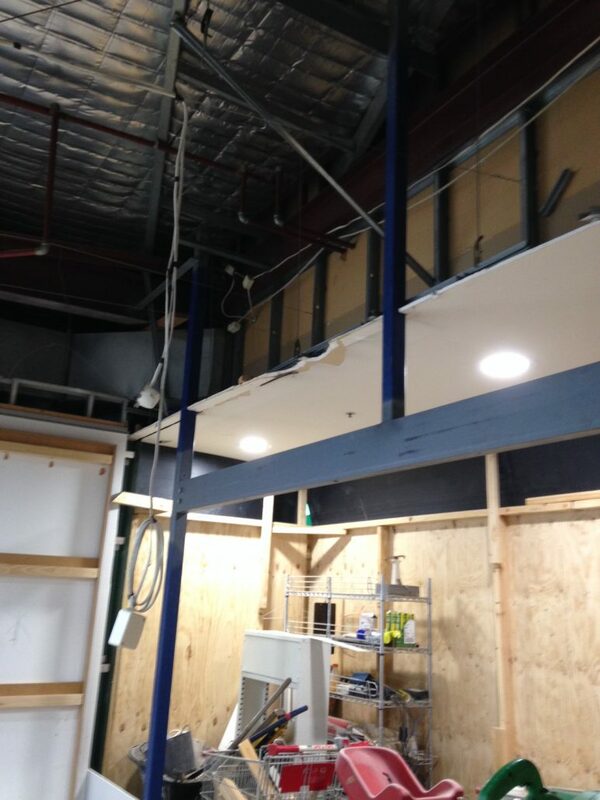 Stage 2 major component was the removal of the existing glass shop front and installation of new structural steel right across the front of the shop in order to open the entire shopfront up to the mall of the shopping centre. 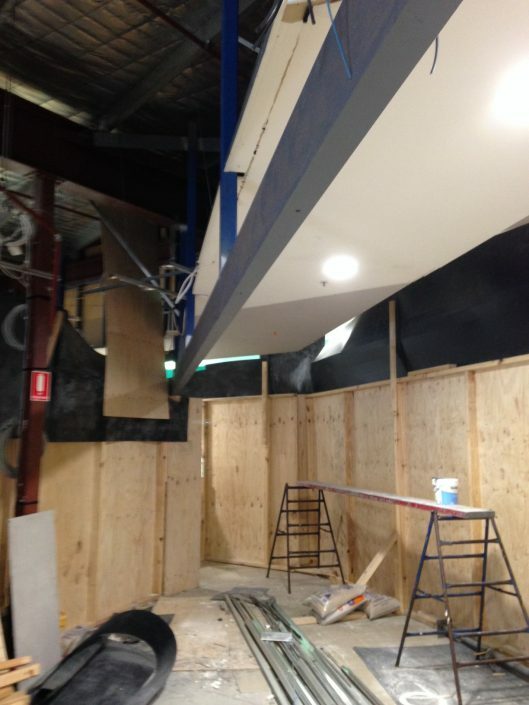 New signage to the shopping centre was also installed along with the new custom made gondolas and wall bays ready for opening day. All works were completed in 8 weeks as per schedule and PC was achieved in order for the shop to be fully operational on time and on budget.